If you are an Alameda County resident and are having problems with a car, truck, van, motorcycle, motorhome or any other consumer product, the Law Offices of David J. Farrell may be able to asisst you. The California Lemon Law may require the manufacturer/warrantor of your defective product to repurchase the product, replace the product or provide you a monetary remedy. Attorney David Farrell has over 25 years of experience handling California Lemon Law cases and represents clients in the entire state of California. 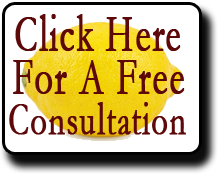 So if you live in Oakland, Hayward, Livermore, Fremont, San Leandro, Pleasanton or any other Alameda County city and you would like to learn more about your California Lemon Law rights, attorney David Farrell would be happy to provide you with a free personal consultation.